Primal Physiotherapy Exam Review and Tutorial Service (PPERTS) provides comprehensive and affordable physiotherapy tutorial service. It assists physiotherapists to develop foundational knowledge & competencies to pass the Physiotherapy Competency Examination. Our client, Grace Bernaga wanted a testing solution to help physiotherapists prepare for Physiotherapy Competency Examination conveniently. She sought an online timed test comprising multiple choice questions divided into various sections. An exhaustive set of review reports consisting - test summary, individual student performance and analysis report based on each question was required . 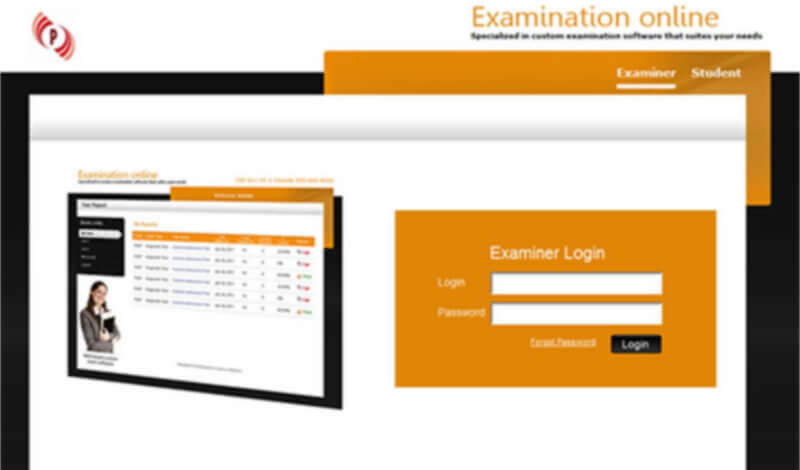 Examination Online collaborated with the client and deployed a permission-based online testing solution.The platform offers 8 sectional tests with 50 multiple choice questions each and a final mock exam comprising 200 questions. 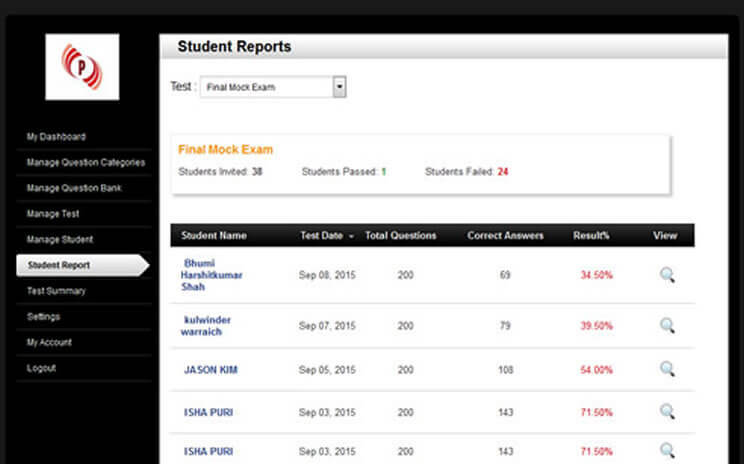 The reporting system generates a test summary instantly with details like students invited, passed and failed. Apart from this, the detailed report offers student details, total questions attempted, correct answer and result%. 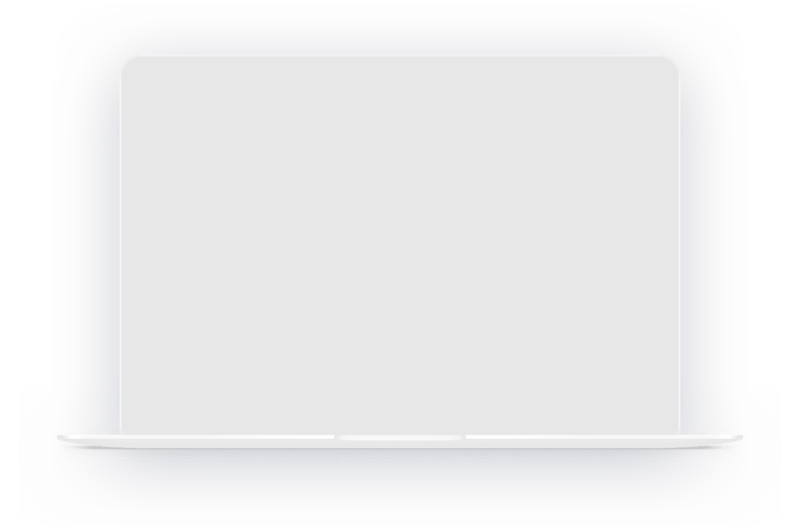 The question wise report allow test takers to analyse the performance and help them prepare better. The launch of the testing solution has made it easy for the client as well as test takers in preparing for exam. The physiotherapists find it convenient to take the test anytime, review performance and get a detailed analysis of each answer. The platform lets them identify strength & weaknesses and specialize in key areas of practice. The client received an encouraging response and the overall cost of administering the test has dropped. She now manages the tutorial services effortlessly and get an overall summary instantly. The client now spend more time on strategic concerns rather than grappling with technical challenges of delivering tests and assessing it.